A few of you have taken to our page to ask about the Chevrolet Camaro ZL1 1LE, and whether or not the drive mode selector changes the suspension for the sports car, so we decided to clear a few things up about this interesting and important distinction. The short answer is no – the drive mode selector does not alter the suspension properties of the Camaro ZL1 with the 1LE Track Performance Package package. However, the drive mode selector does change the suspension properties of the Camaro ZL1 without the 1LE package. That’s because the Camaro ZL1 1LE gets (DSSV) from MultiMatic. It’s one of the primary features that make it such a supremely-capable sports car capable of a . Meanwhile, Camaro ZL1 units without the 1LE package make use of (MRC) suspension. The end result is that DSSV provides no way for the driver to adjust the suspension’s characteristics, as its dampers are always in the purpose-built high-performance sport/track mode… while MRC lets the driver go from Tour to Sport to Track, although its track setting is not as extreme as that of DSSV. To note, the purpose of both the DSSV dampers and of Magnetic Ride Control (MRC) is the same – to alter the damping properties of the suspension… but DSSV accomplishes the task through mechanical means, while MRC is electric. We’ve already taken a deep dive into what’s as well as within the , so what we’ll do time around is share the differences between what the drive mode selector accomplishes for the Camaro ZL1 1LE (the one with DSSV dampers) and a “regular” ZL1 (the one with MRC suspension). We should also note that that the Camaro ZL1, with and without the 1LE package, can also configure steering, exhaust, and suspension options individually. This means that one can couple the less touchy throttle mapping of Tour mode with the louder exhaust note of Sport mode. 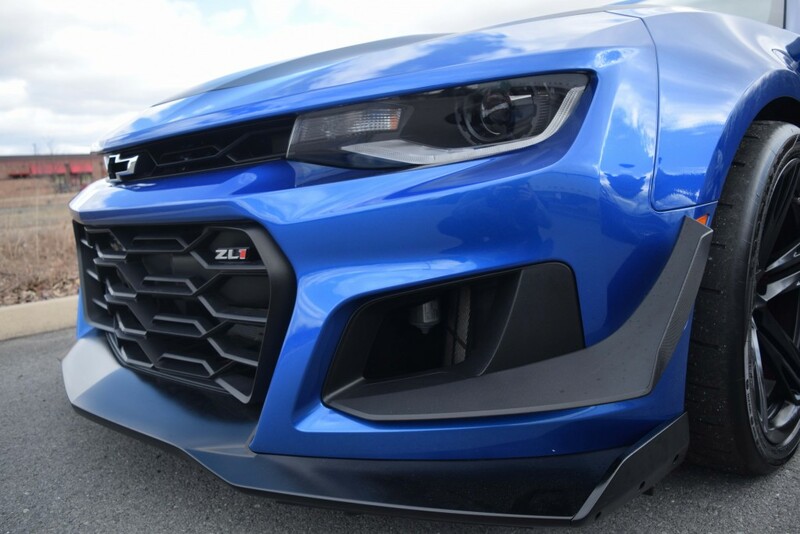 With all that in mind, as well as knowing full well that only a few have had the pleasure to sample the sixth-generation Camaro ZL1 with the 1LE package and its DSSV dampers, which suspension setup – DSSV or MRC -would you prefer in the Camaro ZL1 if you were buying one? Talk to us in the comments. to GM Authority for more , , and around-the-clock coverage.